Palestinian refugee residing at UNRWA ciollective shelter at Khan Dunoun Camp, Syria (2015). 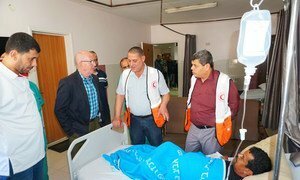 The UN Humanitarian Coordinator for the occupied Palestinian territory, Jamie McGoldrick, has been describing how ordinary Gazans are scraping by on just four hours of electricity per day due to fuel shortages, putting many in “a terrible situation” as the winter months approach. 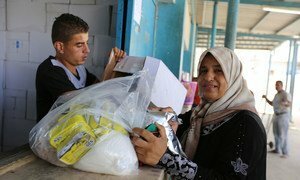 Funding for humanitarian operations in the Occupied Palestinian Territory (OPT) is at an “all-time low”, threatening the delivery of life-saving aid to people in the West Bank and Gaza, the United Nations warned on Friday.